How’s your spring going? I’m loving the lighter nights and longer days, but I do wish the sun would come back here in the south of England. 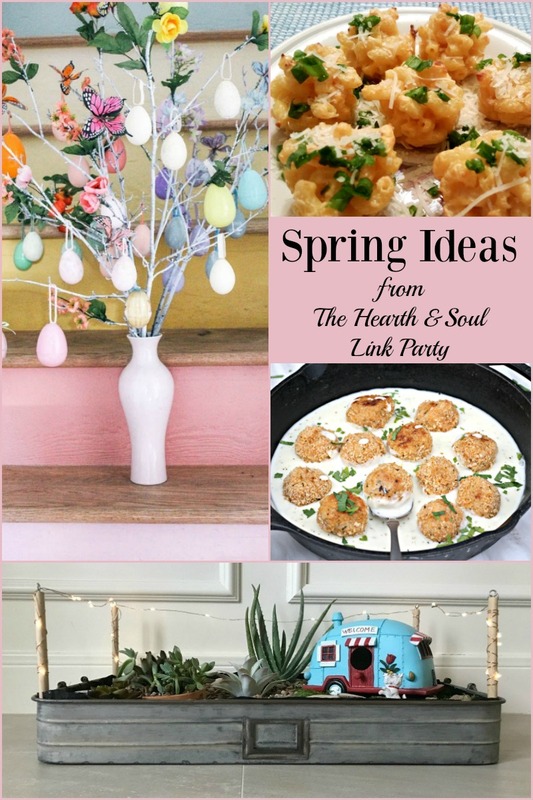 Whatever your weather, this week there are lots of fun spring ideas for you at The Hearth and Soul Link Party. Welcome! Spring is the perfect time to inject a little fun in our lives. And while as Gretchen Rubins says, “What’s fun for everyone might not be fun for you”, I hope you will be inspired to think about what is fun for you by some of the features. I also hope you will make a concerted effort, as I am, to fit lots of the things you do find fun into your life! There’s lots going on behind the scenes at AprilJHarris.com as I start work on a free mini ebook to give away to subscribers. I’ve polled current subscribers for the topic, and I’ll be announcing what they chose in my upcoming newsletter. 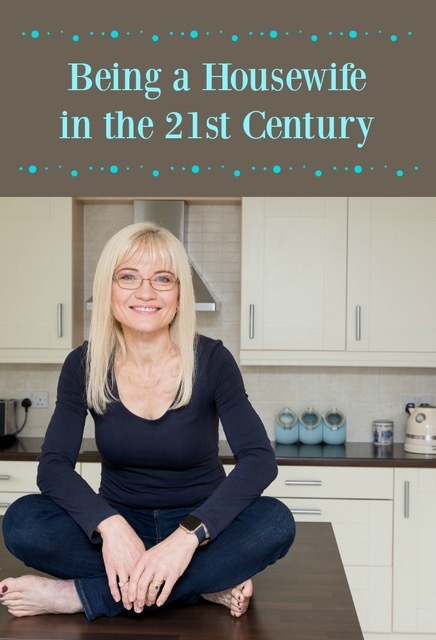 I’ve never written an ebook before so there’s a learning curve for me, plus I also have to work on the content and photographs. Once I’ve done this, I’m having my lovely web designer give the site a little refresh. If you haven’t already, please do consider signing up to my newsletters. I rarely email more than once or twice a month, and I share things from on the blog and beyond. I’d really appreciate your support! 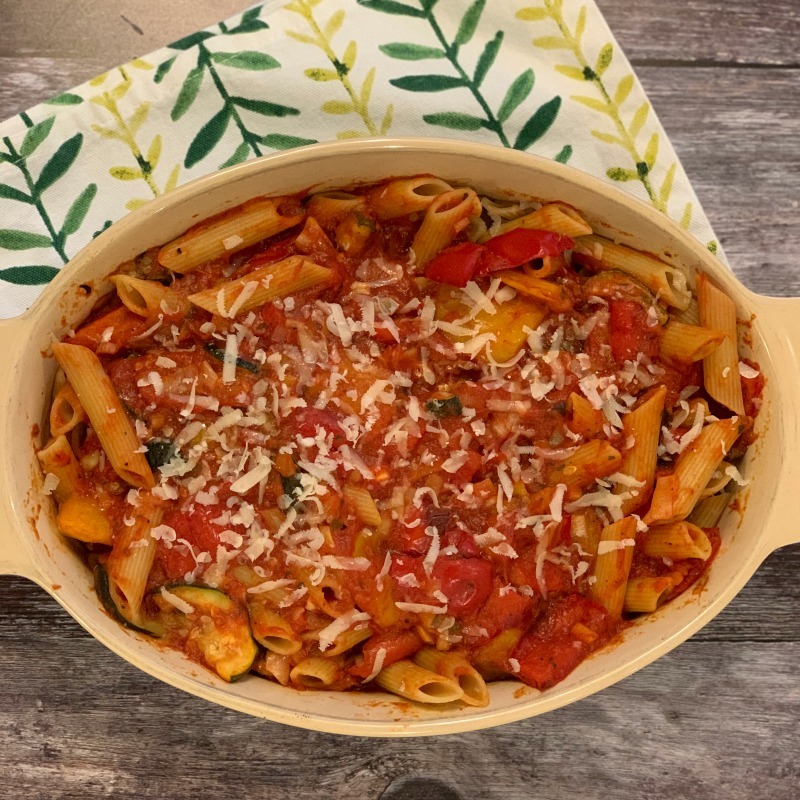 One of my lovely readers recently contacted me asking for more easy, everyday recipes and I’ve started with my Roast Vegetable Pasta Bake. Perfect for cooks of all levels, this wholesome vegetarian dish should please the whole family. There are lots of variations – including a vegan option and a gluten free one. Some time ago, I shared my tips on How to Avoid Jet Lag. Most of the time, following this advice ensures I feel great before, during and after a trip. However our recent visit to the US was a month long, and there were three time changes. 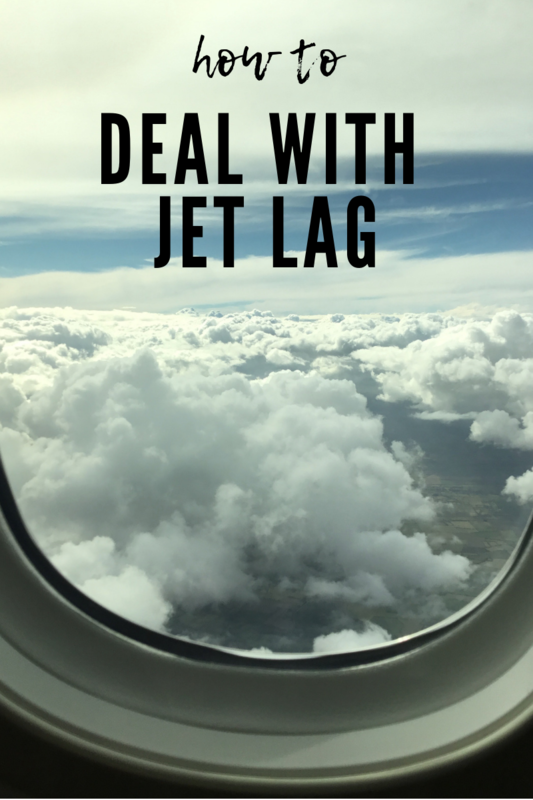 I felt quite rough for a day or so after we got home, but it was a great opportunity to work on a post about what to do if, despite all your best efforts, you do get jet lag. In How to Deal with Jet Lag I’ve got easy tips to help you feel better, faster, and get your body, mind and soul back into the correct time zone! Thank you all for sharing so many great posts last week! Have fun decorating your home for Easter or spring with this DIY Rainbow Easter Egg Tree from At Home with Ashley. What a great project to do with your kids or grandkids! Try a fun new recipe like these Three Cheese Mini Macaroni Cups from Create with Joy. They would make a lovely little treat for the kids, or a great canapé at your next cocktail party! These Parmesan Crusted Meatballs in a Herb Sauce from Looney for Food are a fun twist on traditional meatballs. Making fairy gardens can be fun for kids and adults alike. Don’t miss this cute Vintage DIY Indoor Fairy Garden project from Abbotts At Home. Happy Spring April! We are enjoying all the blooming flowers and the warmer weather! Thanks for another great party! Happy Spring, Nancy! We have some flowers out too. I just love this time of year – but I do wish the sun would come back 😉 Have a lovely week! Good morning and happy spring to you, April! It feels good to get over to your party again, thank you! Always enjoy stopping by. 🙂 Thank you for hosting. Been crazy with the move but about 2/3 of the household goods are put away now. Lots to continue sorting through and much to donate/sell. Just a couple of short posts up for you this week. Spring is everywhere and we are having lots of spring rain here, but enjoying it. Hope you have a fantastic week and thanks so much for the party! We’ve been having some spring rain too, Miz Helen – as well as some spring hail! I’m glad you are getting the rain for your lovely garden though. It looks like the sun might return here on Wednesday, fingers crossed. Thank you so much for visiting and sharing! Wishing you a lovely week! Hi April, your roast vegetable pasta bake looks sooo good! Thanks for featuring my Easter Tree. Hope the weather improves for you this week. Spring is so lovely, isn’t it? Our fruit trees are blooming profusely this year and I hope the wildflowers will be too! Happy Spring to you, April! It really is, Kathi! Happy Spring to you too! What a lovely theme, Marilyn! Creme Brulee is such a fabulous flavour. I hope your week is going well. Welcome to Spring. Thanks for hosting and I hope that you have a wonderful week. Thanks for hosting every week, April. Although this week has been warm and lovely we are told to expect some snow by the weekend! Our elevation is quite here in Colorado, so spring is very erratic. My pleasure, Pat. Oh my goodness, snow! I know that the place I came from in Canada had snow last week, but it’s all melted now. Hope spring arrives in earnest for you soon! Hi April! In AZ, we are hitting the 90s this week, but luckily dropping back into the 70s for a little bit. We enjoy the Spring while we can! Thanks for hosting and for sharing as much as you do! Hi, April! I loved your shot out the airplane window! Thanks for featuring my Mini Macaroni Cups April.